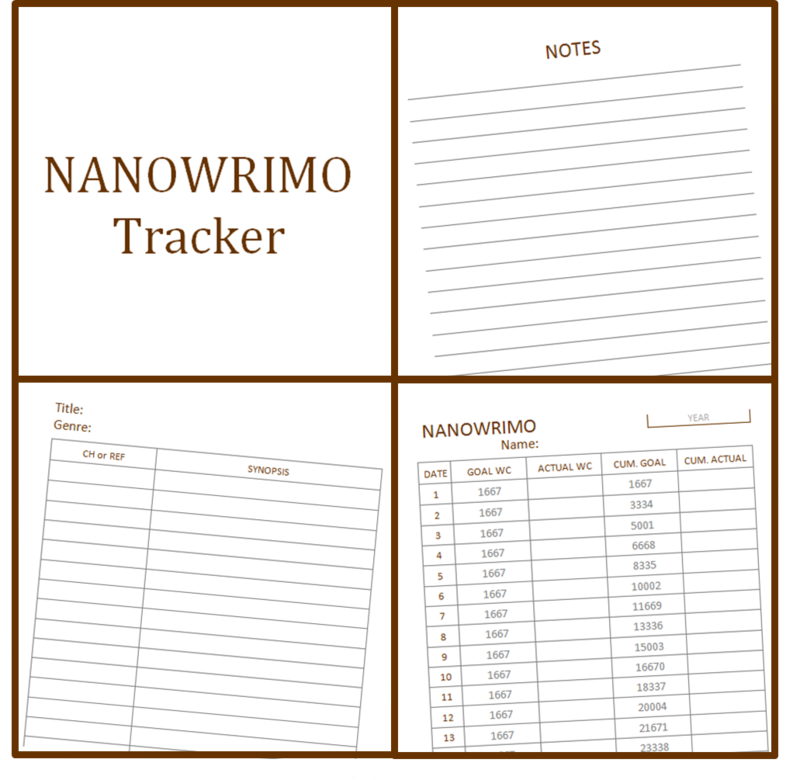 NaNoWriMo comes around every year. 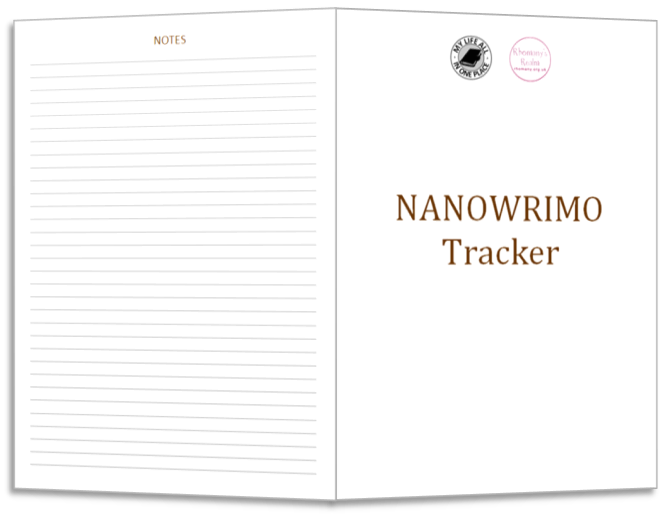 New and experienced writers undertake to produce a full novel in the thirty days of November. This requires a certain amount of planning. 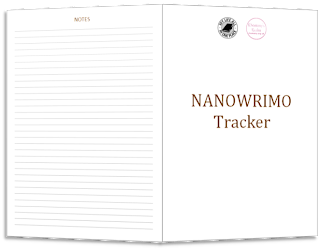 In collaboration with my friend, Rhomany, I have developed a NaNoWriMo tracker you can download in several formats and use to track your progress over the month. You have a number of choices when it comes to format. 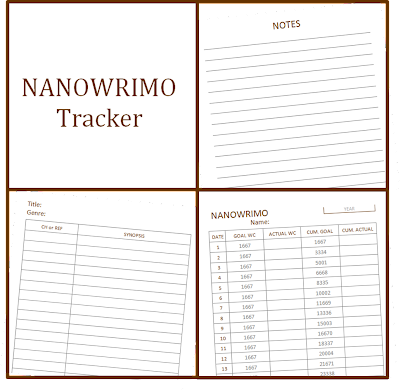 This prints as four pages of A4 or Letter paper that you can print single- or double-sided and slip into a folder or punch and add to your binder. 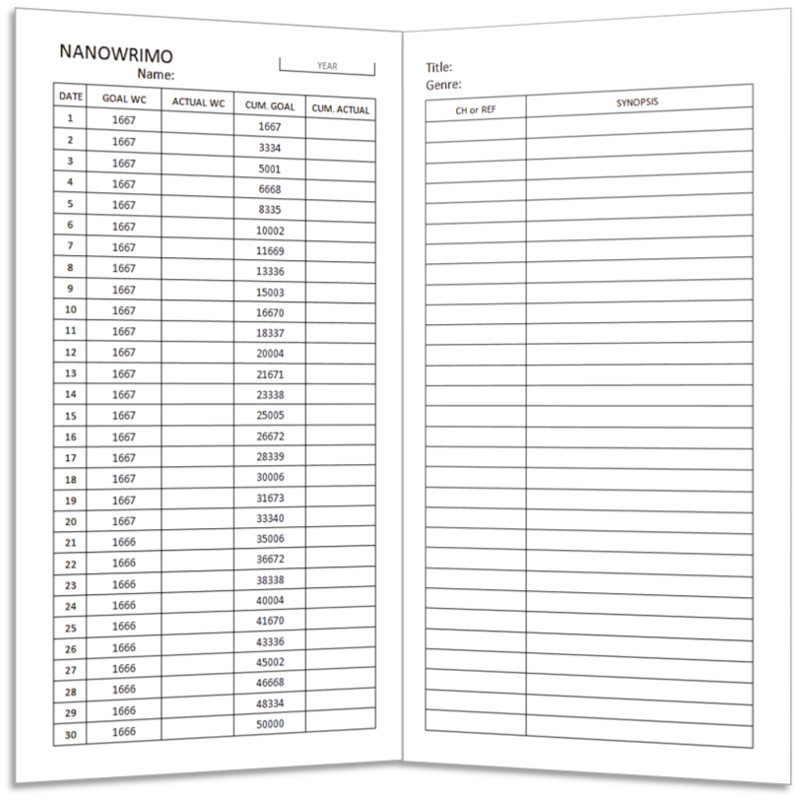 This version you can print onto A4 or Letter paper, double-sided (flip on the short edge) and fold in half. 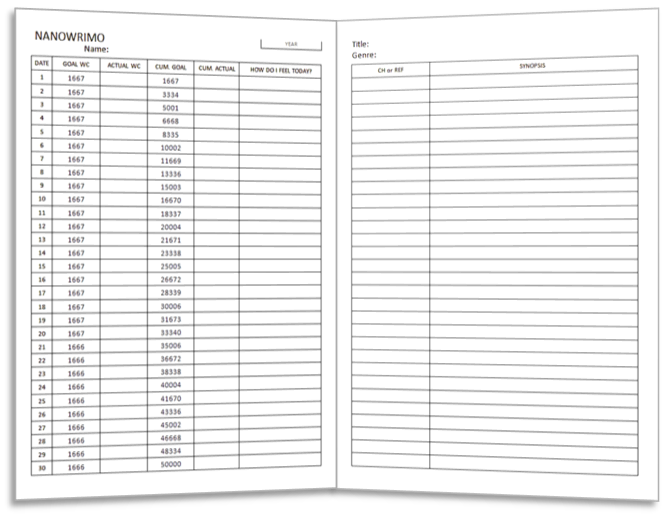 If you want to file this in an A5 Filofax, use this version and cut instead of folding, then punch and you're good. 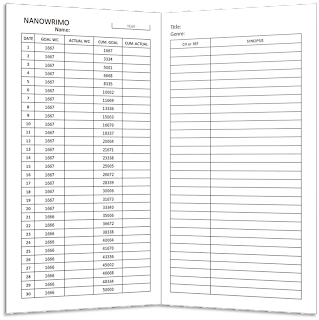 You can use this version either as a single folded sheet to tuck into the back of an existing booklet, or you can use the source file to seed the pages into a mixed self-printed booklet. 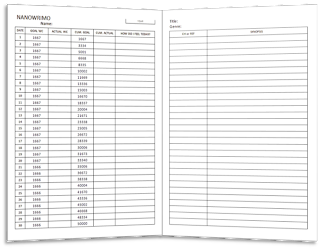 Print just like the A4 booklet, then cut down to the usual width of 110mm.